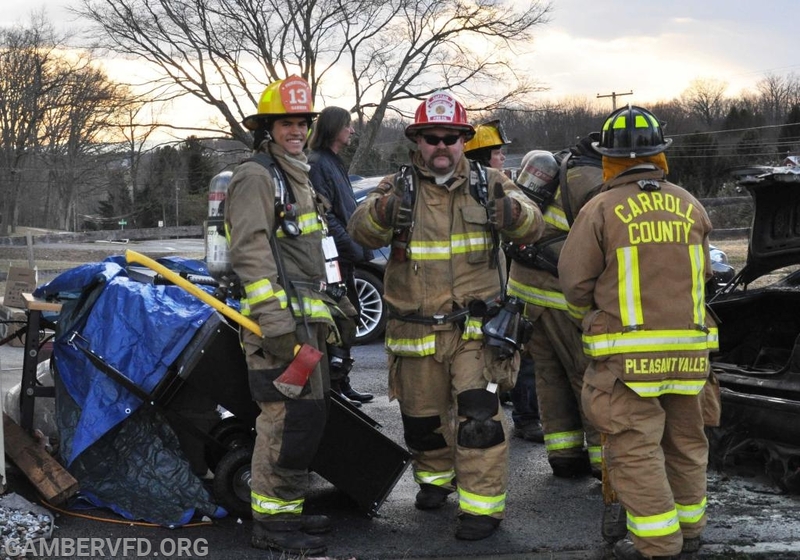 Members of the Gamber Fire & Community Company filled in at Pleasant Valley Community Fire Company so that their members could enjoy their annual awards banquet. 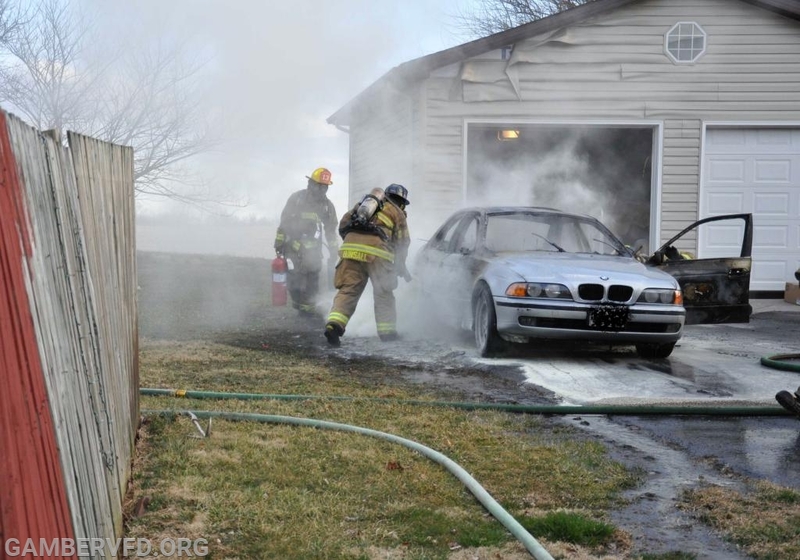 Roughly 1 hour after arriving, Pleasant Valley was alerted for an auto fire on Mayberry Rd. 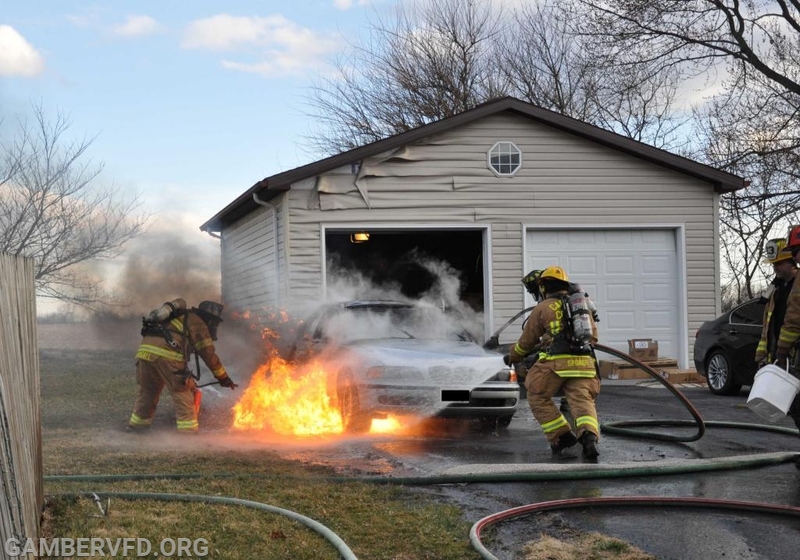 Members from Gamber responded on E-61 to find a vehicle fully involved in front of a detached garage. 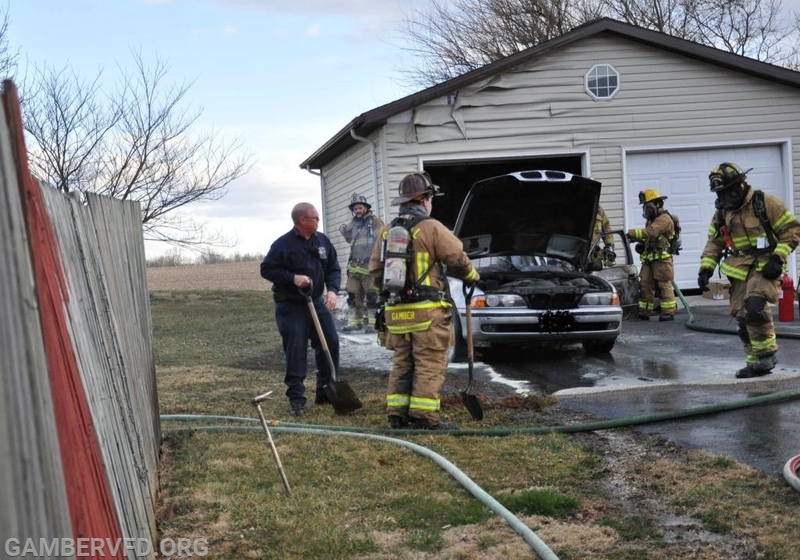 The car was quickly extinguished and units were placed in service. 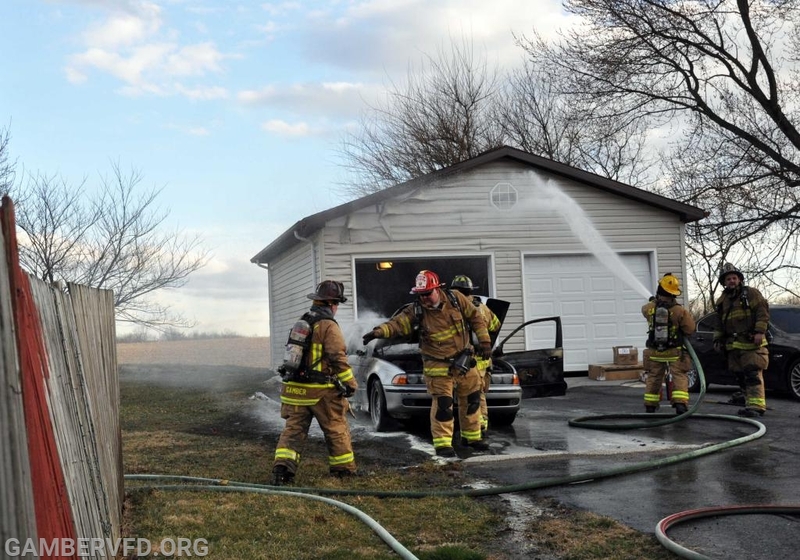 E-61 remained on the scene for an extended period of time to assist the state Fire Marshal before returning to service.